Hi crafters! 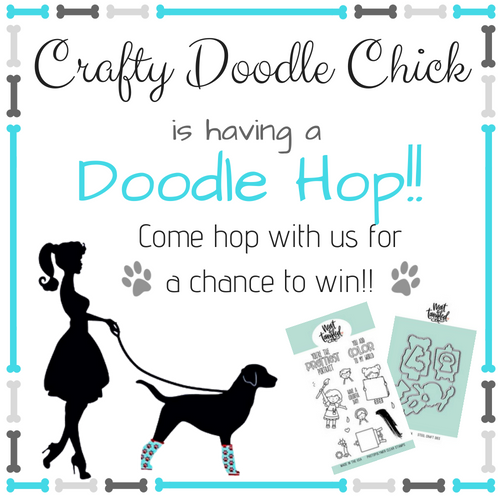 thanks for joining the first "Doodle" hop for Crafty Doodle Chick. I am so excited you are hopping along with us!! 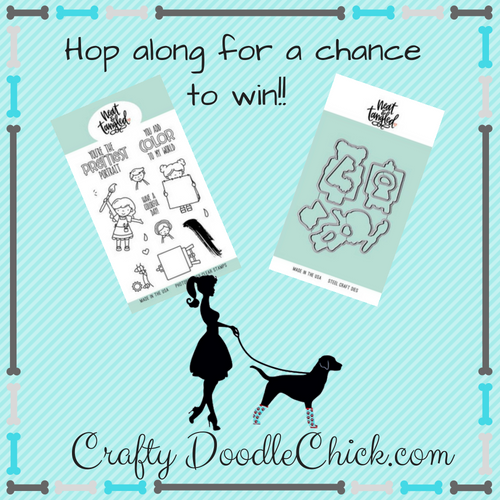 This hop is to celebrate Crafty Doodle Chick (CDC) which is a new online store owned by Jennifer Vaughn for those of you who may not be familiar with the store. We have a small team of talented designers and we have been doodling for 6 months!?! Thanks to ALL OF YOU for the support you have shown to Crafty Doodle Chick. 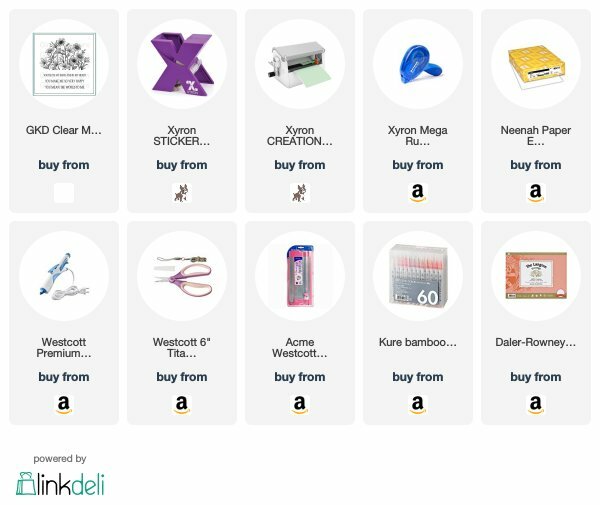 I have decided to do something a little different and have a destash giveaway either one person will win all that is pictured below or I may be winners for each prize so be sure to leave a comment and follow and like our Crafty Doodle Chick page for extra entries. My winner will be notified next Wednesday, June 6th so be sure to stop back in to see if your the lucky winner or one of the lucky winners! We hope you enjoy all the creations from our team of talented ladies and be sure to leave a comment on each blog post for extra entries to win! For my project I made a card using some of the newly stocked GinaK Designs stamps. 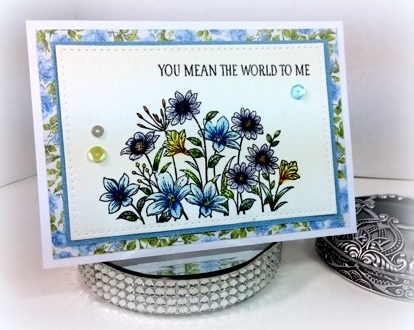 This is actually my 2nd card using these gorgeous stamps and I am hooked for sure. I stamped the image on watercolor paper using a hybrid ink. Which I love this ink from Dare 2B Artzy. I then colored my image using zig clean color pens in hues of blue and added some sequins sparingly on my card to complete the look. I hope you enjoyed my card and thanks for stopping by. If you lose your spot along the way just come back here to the list below of Design Team members creating wonderful cards for the Doodle Hop. 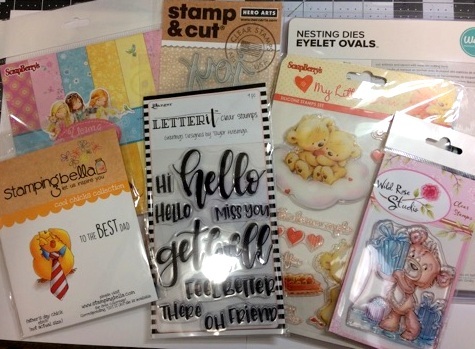 CDC will be announcing the winner of a Brand New Stamp & Die bundle from Neat & Tangled "Paint Night" June 4th and I am always giving away a prize just to make things more exciting. Read below for several ways to enter the Giveaway.... each one gives you an entry to win. Comment on each person's blog post. Come back here and comment which card was your favorite. Follow us on Instagram and leave your IG name so we can check out yours. Share this blog post on social media and comment where you shared it. So pretty in my fave color blue! Love the soothing hues of blues on this stunning floral image and perfect combo with DP! Thanks for the chance to win this awesome giveaway too! Fingers crossed! You can never go wrong with Gina k. Love the card and colors you choose. Beautiful card Monica. Flowers always make me happy! I really love the colors you picked! This would be a great palette for so many types of cards! Hi Monica, I love the different color blues your picked out. Flower cards are the best. Thank you for sharing and being part of the hop. 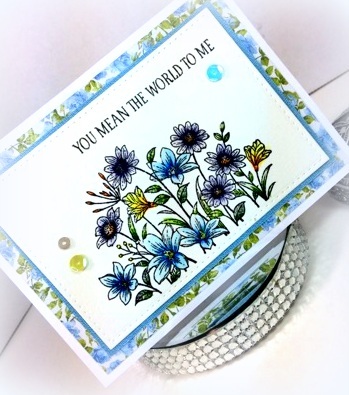 The florals on this card are lovely, and are perfectly complemented by the pretty paper. Thank you for the opportunity. I LOVE the colors of your card and the added sequins. Really lovely card! The patterned paper is a great accent! Such a gorgeous card. Love the pattern paper and sequins. So pretty--I like your coloring and the background paper. What a beautiful card!! And how awesome to host a giveaway with CDC! You rock! Beautiful card! I love the colors and those pretty flowers! Excited to have a look at the CDC store! Simple, yet elegant. I love how the background paper compliments your floral color choice. I have to remember to use more of my patterned papers. Beautiful! Monica your card is gorgeous! I love EVERYTHING about it. I guess I need to follow your blog to see all of your beautiful creations. Thank you for being a part of this blog hop.